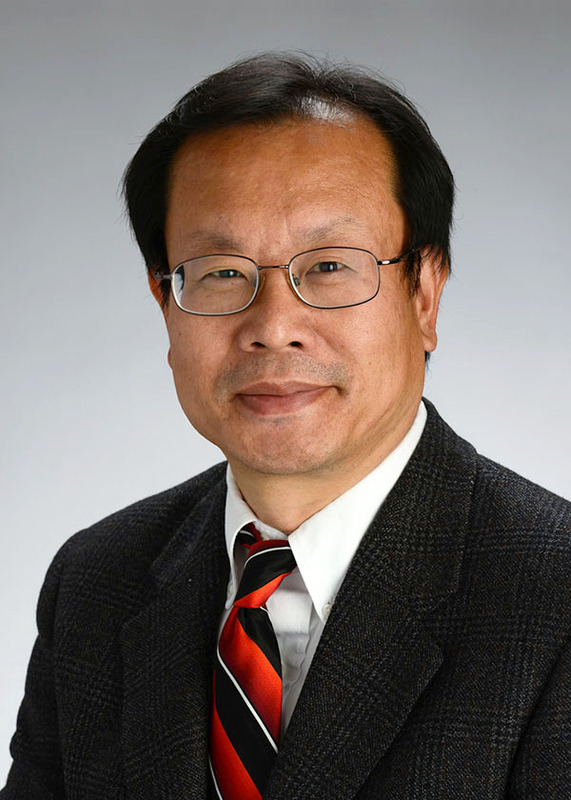 Dr. Da Zhang obtained his MD degree from School of Medicine, Shandong University, China. He then received his MSc degree from Chinese Center for Disease Control and Prevention, China. He trained as a resident at the Medical University of South Carolina and as a fellow at Memorial Sloan-Kettering Cancer Center New York City and was certified in Anatomic Pathology, Clinical Pathology, and Hematology by the American Board of Pathology. Currently he is an Associate Professor at the University of Kansas School of Medicine, Kansas, USA. 8. Boone JM, Zhang D, Fan F. Lymphomatoid granulomatosis: a case report with unique clinical and histopathologic features. Ann Clin Lab Sci. 2013 Spring;43(2):181-5. 10. Aljitawi OS, Xiao Y, Zhang D, Stehno-Bittel L, Garimella R, Hopkins RA, Detamore MS. Generating CK19-Positive Cells with Hair-Like Structures from Wharton's Jelly Mesenchymal Stromal Cells. Stem Cells Dev. 2013 Jan 1;22(1):18-26. 12. Cui W, Fan F, Zhang D, Garnett D, Tilzer L. Primary composite lymphoma of the larynx, composed of diffuse large B-cell lymphoma and peripheral T-cell lymphoma, not otherwise specified, presenting as left subglottic tracheal fistula, esophageal diverticulum, and neck abscess. Ann Clin Lab Sci. 2012 Winter;42(1):73-80. 15. Tenny SO, McGinness M, Zhang D, Damjanov I, Fan F. Rosai-Dorfman disease presenting as a breast mass and enlarged axillary lymph node mimicking malignancy: a case report and review of the literature. Breast J. 2011 Sep-Oct;17(5):516-20. 16. Lewis C, Patel V, Abhyankar S, Zhang D, Ketterling RP, McClure RF, Persons DL. Microgranular variant of acute promyelocytic leukemia with normal conventional cytogenetics, negative PML/RARA FISH and positive PML/RARA transcripts by RT-PCR. Cancer Genet. 2011 Sep;204(9):522-3. 17. Male HJ, Davis MB, McGuirk JP, Abhyankar S, Aljitawi OS, Zhang D, Ganguly S. Blastic plasmacytoid dendritic cell neoplasm should be treated with acute leukemia type induction chemotherapy and allogeneic stem cell transplantation in first remission. Int J Hematol. 2010;92:398-400. 18. Sharma M, Callen S, Zhang D, Singhal PC, VandenHeuvel GB, and Buch S. Activation of Notch signaling pathway in HIV associated nephropathy. AIDS, 2010;24(14):2161-2170. 19. Zhang D. Histiocytic sarcoma arising from lymphoma via transdifferentiation during clonal evolution. Leukemia and Lymphoma. Leuk Lymphoma. 2010;51:739-40. 20. Zhang D, O'Neil MF, Cunningham MT, Fan F, Olyaee M, Li LH. Abnormal Wnt signaling and stem cell activation in reactive and low-grade marginal zone lymphoma. Leuk Lymphoma. 2010;51:906-10. 21. Marusic Z, Zhang D, Kruslin B. Bladder cancer therapy related histopathologic changes. The Open Pathology Journal, 2009;3: 74-80.